As we prepare to jet off to New York, a look at some of the folklore that exists in that most flamboyant of cities. My father-in-law’s ears saved his life. He was a dashing adventurer, and during World War Two all the brightest and best applied to be airmen. Charles applied to the air force. He was bright, clever, quick witted; everything they needed. But there was a problem with the medical, and his ears would not stand the pressure. He joined REME instead – the Royal Electrical and Mechanical Engineers. His was an eventful war, but he made it through. The odds were not good. Precious few pilots made it through this most vital of battles. They fought fiercely, with incredible bravery. Some wrote about it with words which sear the heart; they adored being high up there, in the sky, on the edge of life, even in the light of the knowledge that death stalked them. On the edge of the cliff, overlooking the channel where they fought, there is a memorial. 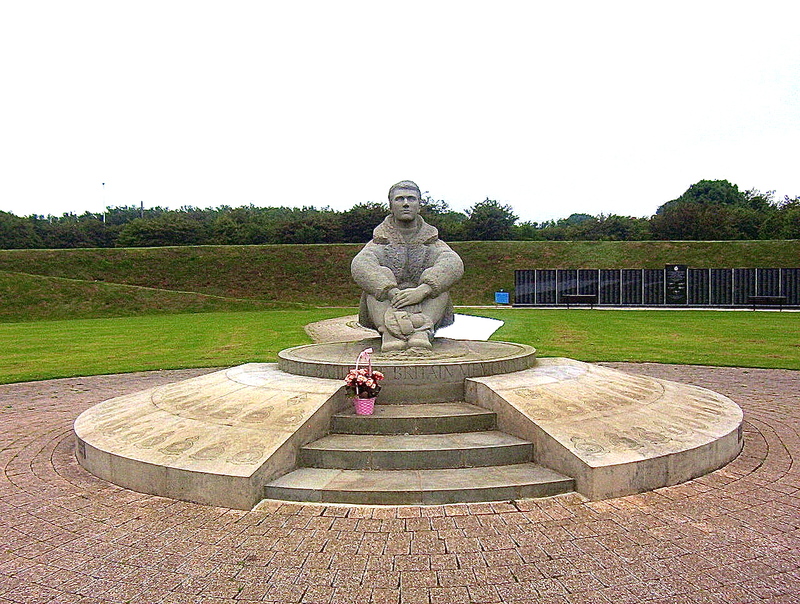 A statue of a pilot sits, arms cradling knees, gazing out to sea at Capel-Le Ferne, near The White Cliffs. And a wall carries the names of almost 3,000 pilots who lost their lives during the second world war. They had hopes, and dreams. And across the Atlantic, in roughly the direction of the pilot’s gaze, a ghost story still makes the rounds, concerning the hopes and dreams of a pair of English pilots. So: 1940ish, and a Harvard graduate was standing at the lights in Times Square, New York, waiting to cross the road. And as he waited, he noticed an incongruous sight: two British airmen in uniform, walking towards the lights. They stopped beside him, and turned, and grinned; immediately likeable, these two. So, as you do, they began talking as they strolled along. The two men kept checking their watches; a nervous tick learned from their experiences? the American speculated.The two had wanted to see Times Square all their lives, they said, and now they were finally here. The war had been grim, and it was good to have some fun. Their excitement was infectious, and the American was delighted to share some of the inside knowledge about the city. Why didn’t the pair join him to dine at his club, he asked, and the two accepted with gusto. A convivial evening was had by all. A fabulous meal, great wine, plentiful and absorbing conversation.If the two seemed a little preoccupied with the time now and then, it did not interfere with the warmth of the regard which grew between the New Yorker and his two new-found companions. It was not until the final scotch was polished off, and midnight approached, that the two men rose to leave. The New Yorker protested. The odds were bad, but not that bad, surely? And with that, before his very eyes, the two vanished, never to be seen again. Posted in Spine ChillersTagged Air Force, America, anglophile, Battle of Britain, ghost stories, New York, Times SquareBookmark the permalink. Excellent ghost story. Having been to Times Square once I could have warned them to choose something more edifying for their one post mortem outing. 😀 All human life is there, Roger. And lots of shops, too. Gives me hope to know I can travel even after I am dead!. Indeed, Madhu! We’ll have to start compiling post-bucket-lists! Ah yes, British airmen were attracted by the bright lights! A strange story, indeed. Makes you think, doesn’t it, Jim? We hope to visit in October Kate, so your tale will resonate all the more. Ditto what speccy said :)! Have a fantastic time in NYC! Very true. Most wars I would call it a pointless waste; but in this one, these men were our last line of defence against an evil whose extent we only later learnt. Every now and then we call in at Cpel-Le-Ferne. It is because of these men that we are free today. As a New Yorker who has done her share of tippling, Kate, I blame the scotch. That and the gift of the gab, Lame. That brought a wee tear to my eyes, Kate, and I’m suddenly wanting to view Stairway to Heaven with David Niven once more. Now there’s a classic I haven’t seen in a while, Penny! Thanks for reminder! I am going to think of this quiet story every time I wander through Times Square. Thanks, Andra, we’ll check it out! Enjoy your trip! Constantly juggling the time zones between California and Norway have made me ponder the same questions, when does things really happen? I do now the scientific answer, the philosophical quest is much more intriguing! Well, just now it’s time for a snack, anywhere! Enjoy your snack, Solveig. When indeed? It’s a great puzzler, this one. Fabulous tale, Kate. I love these ghost stories of yours. I’m not reading beyond the first sentence. That’s enough. Magic. It was a strange quirk that kept Charles out of the air, Isobel. But he went on to distinguish himself as an engineer and be my husband’s father, to boot. A life well lived, in my book. I never heard that story before but now the hairs on my arms are standing up. You’re going to be in my neck of the woods?! Have a great time among my flamboyant people, Kate, and safe travels! Fantastic ghost tale, Kate. I know you’ll enjoy your visit to NYC . . . with or without ghosts to join you at dinner. Have a terrific time Kate. Wish we’d cross paths. You’re into ghosts, aren’t you? Oh my, I’ve got goosebumps! 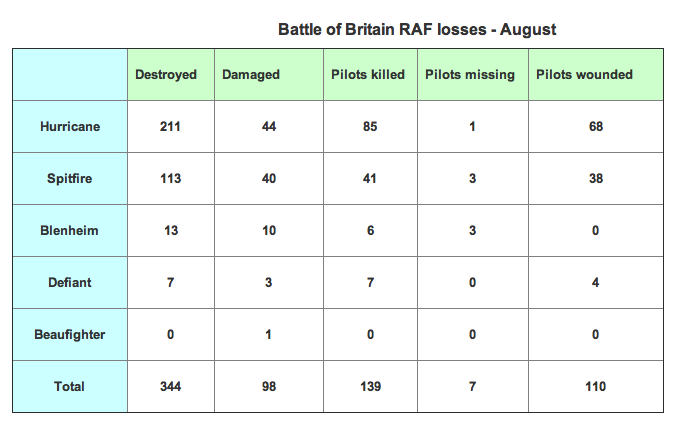 The Battle has a special place in my heart as a air combat aficionado and amateur military historian. Oh… my… love how stories linger in the breath of memories. Nice story, though improbable, I suppose. Today I am going to stand at those lights in Times Square, anyhow. Excellent story, Kate. A lovely, but sad, thought that our wishes can come true. But it would be far better to see the sights while on this earth than revisit as a spirit.